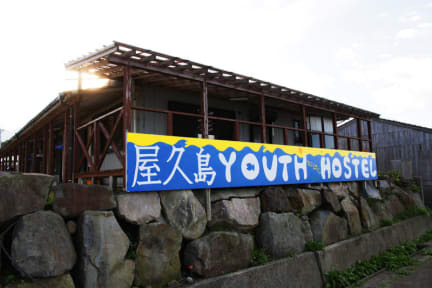 The hostel is located beside Miyanoura port, the entrance and the center of the island. Just 8 min walk from the port and easy access to any major spot, especially to Shiratani Unsuikyo, the famous moss forest. 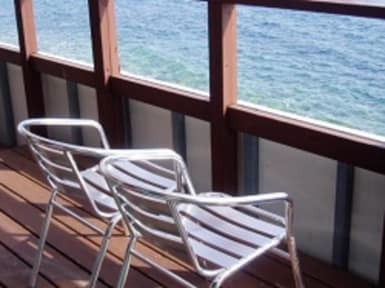 The hostel is clean, cozy and comfortable with nice seaside terrace. A one storied compact hostel, within 10 steps for all facility. The manager, familiar with Yakushima as well as travelling Japan, would be glad to help you in English. Great hostel with a very relaxed and welcoming vibe. The owners are supernice (and their newborn son is supercute). Lots of info on things to do, the terrace is a good place to meet people and the location is very convenient. Definitely recommended. Amazing hostel with very friendly staff. The invited us for a bbq, we had sake it was so much fun! Met some really nice people. Location of the hostel is perfect. Yakushima is a paradise, and this was the highlight of my Japan-trip. Recommend to rent a car with some people so you dont depent on busses on the island. Nice, clean and cosy hostel. Def recommend! !